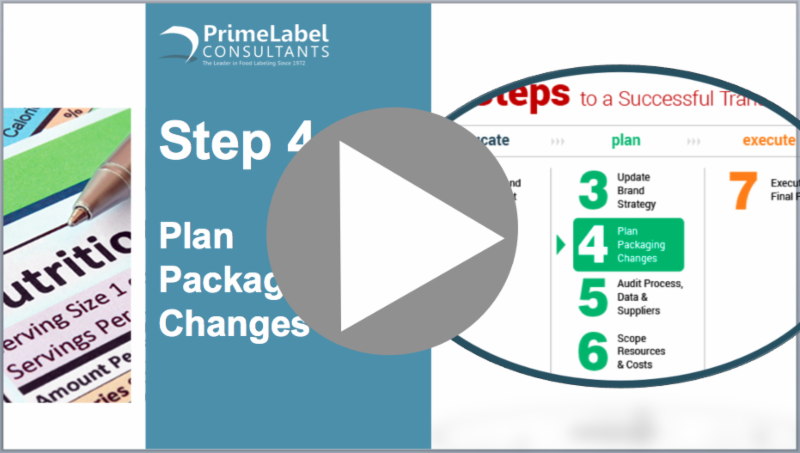 Welcome to the fourth issue of LABEL ALERT EXTRA - Plan Packaging Changes, a practical implementation guide to navigating Nutrition 2016. After a summer digesting the new Nutrition final rule, we are back in force with the rest of our series to help you transition to the new Nutrition Facts panel. If you haven't yet started, now is a critical time, as you have only about a year and a half to make all your labels comply and be on store shelves by the July 26, 2018 deadline. Feel free to forward this newsletter to your team members who will be instrumental to your success as you navigate this journey together. Download our complimentary Style Guide. Be sure to read Step 1, Step 2 and Step 3 if you haven't already, and stay tuned for our 5th installment next month: Audit Process, Data & Suppliers. 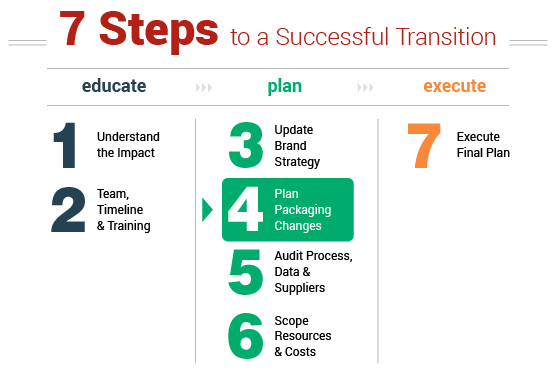 The fourth step in managing an effective transition is to plan your packaging changes - first by understanding which panel to choose, then by mapping your product set against four categories of changes. PLC and sgsco are ready to support you with regulatory, design & pre-press services that help you plan packaging changes across your enterprise. Come to our Nutrition 2016 training November 2nd & 3rd where we have four full seminars covering regulatory, marketing, R&D and management sessions. Or visit us at PLMA Nov 13-15 in Chicago to learn about private label manufacturer and retail solutions for Nutrition 2016. Final Rule: Serving Sizes of Foods That Can Reasonably Be Consumed At One Eating Occasion; Dual-Column Labeling . . .